A durable lining material ideal for use in refurbished or new poultry buildings, the primary material used is manufactured in Belgium and then finished in the U.K. This material offers a unique and cost effective way to improve the standard of existing poultry houses and is also suitable for use in construction of new buildings. Valéron AVA has been developed for all aspects of the international food and agricultural industry. Valéron AVA is designed to allow continuous pressure cleaning when necessary and compliments Bio Security to the maximum level. This tough, Risk Management System, is ideal for controlling your need for heating or cooling in poultry and livestock buildings. Valéron AVA allows you to control your poultry and livestock better! Temperature control: Valéron AVA incorporates the perfect heat shield, reflecting more than 96% of all radiated energy. In the winter the system prevents warmth from escaping via the ceilings and walls.Valéron AVA secure brooding temperatures. Durability: Valéron AVA is a rot and mould-proof system which remains extremely hard to tear even when punctured, nailed or stapled. The strength and UV-resistant coating of the Valéron AVA system will ensure that the material has an extended life of at least 10 years under the Valéron disciplines Hygiene Programme. Valéron AVA, secure lifecycle. 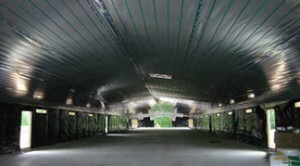 Moisture vapour transmission: Valéron AVA is a pre-stretched and cross laminated coated multi-layer structure. Therefore the moisture vapour transmission rate is virtually zero and remains consistent throughout the life cycle of the system despite regular pressure washing and handling. This avoids the need to install a separate vapour membrane during original construction. Valéron AVA, a secure barrier. Lighting: The reflective properties of a Valéron AVA system allow an even light spread and therefore flock spread and reduce the energy consumption of your interior lighting by up to 10%. Valéron AVA, secure lighting. Material savings: Where insulations are required, the correct use of a Valéron AVA system allows the reduction of these insulation materials. In certain types of structures Valéron AVA can eliminate the need for certain building components such as timber, under ceiling panels, vapour membranes. Valéron AVA, secure use of space. “Our customers have reported savings of up to 30% on brooding cost. Initial heating up times reduced to a matter of a few hours from the usual 24 hours-plus, because of the properties of the Valéron® AVA and its ability to seal the unit so well. We see an improvement in litter quality - as a result of better environmental control - and a reduction in the need for ‘topping up’ with some companies seeing a 25% saving in litter usage. I believe that one of the most exciting benefits we are seeing is a 7 - 9 % increase in daily weight gain being achieved in many countries we supply.” Allan Meldrum Director, Food Chain Innovation.